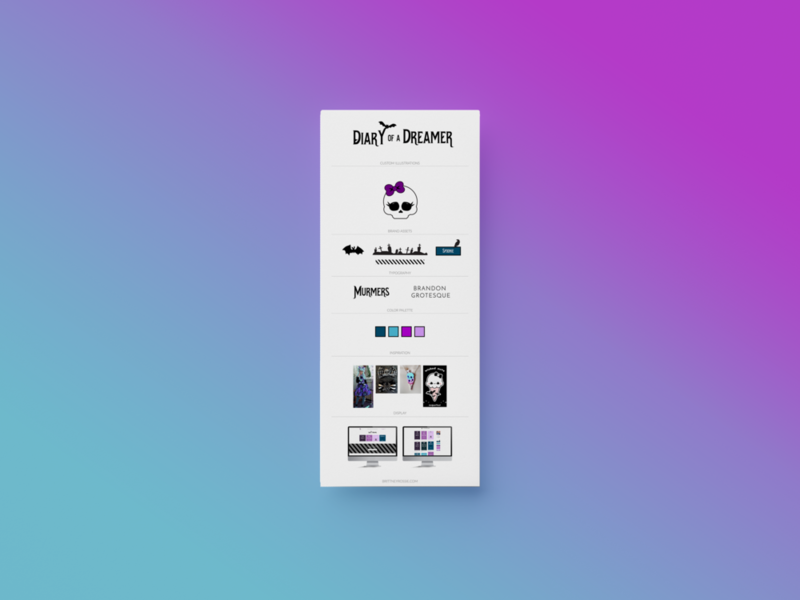 I had the pleasure of working with Jenn, the creative behind Diary of a Dreamer, to create a blog space that was candy skull and halloween inspired. Creative without being too creepy, it was a nod to all things Jenn and such a fun project to work on! This project included full brand identity, brand strategy and a website.